Should you ever, EVER find yourselves driving through Iowa, and should you happen to encroach into the town of Riverside, you night find something interesting, as Madolan Greene did. 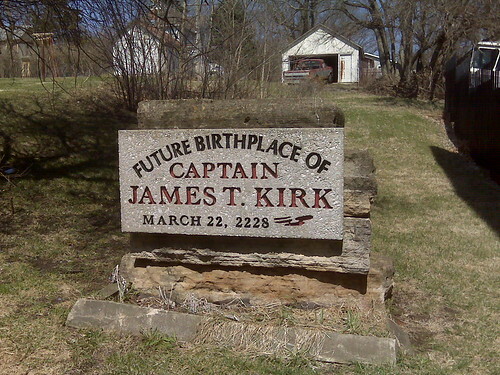 As she was in said circumstance, she took this photo that shows a monument acknowledging that future Starfleet Captain James Tiberius Kirk, son of George and Winona Kirk, will be born here in roughly 217 years from now. Illogical? 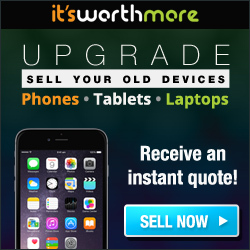 I think not! Next Next post: WWE vs. TNA vs. ROH. Who Wins? Wrestling Fans Win! !